>So we’re all going to die from Swine Flu. I recommend PANICKING, HYSTERIA (not the Def Leppard album) and STOCKPILING FOOD, as well as voracious consumption of newspaper reports to confirm these actions as correct. When you’re hermetically sealed into your Pig Flu-Proof Isolation Den, choose between cowering in a corner, rocking back and forth and listening to Today’s New Band, Dirt Dress. The latter is encouraged. An Introduction fulfils the Sacred Rock Criteria: it’s under three minutes long, snaps into a chorus you want to hear again and again, and has a louche, detached, attitude. It’s a rock song from the future sung by a band in the 50’s. Go To Sleep, tinny, rambling and on the edge of coherency, grabs you like a swaying drunk and wanders off in a similar vein. So many bands flag The Pixies as an influence, but few interpret the QUIETloudQUIET template successfully. 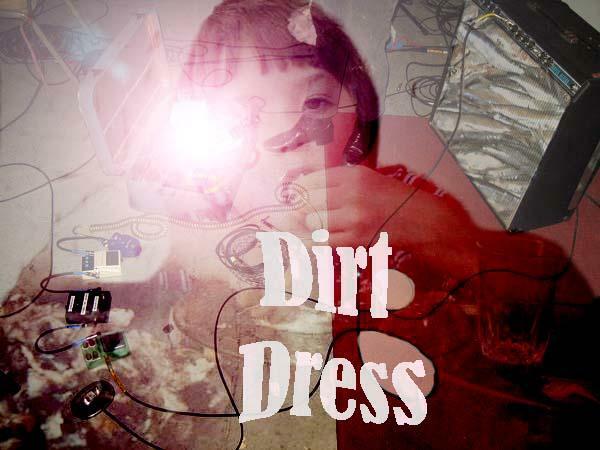 Dirt Dress understand; the weirdness, the off-kilter guitar, the willing disassociation with normality. Good stuff. Listen here! Posted on May 1, 2009 by Joe Sparrow. This entry was posted in Today's New Band and tagged sleepy, your local band. Bookmark the permalink.